One of my favorite starters is Jules Clancy’s warm chickpea salad with rosemary & garlic. It’s a wonderful dish that is super easy to put together. It always seems to be a welcoming treat for my guests. I serve it warm or cold as a starter together with fresh homemade bread. This dish is also nice together with olives, mushroom confit, feta and thinly sliced dried sausage. I have tried different variations of this recipe; thyme instead of rosemary and sunflower seeds instead of almonds. They are all good, however the original combination of chickpeas, chili, rosemary and almonds is just perfect so I mostly stick to that. The recipe below is almost identical to Jules, but my method is slightly different. For example, I prefer to add the garlic at the end, as I easily burn the garlic otherwise. And in this way I minimize the risk of bitter and overcooked garlic. Thanks Jules for this lovely recipe. In a separate frying pan, heat up some olive oil. When the oil is hot, lower the heat to medium and add the rosemary with a pinch of chili flakes, fry for about a minute before adding the chickpeas. Stir occasionally. Just when the chickpeas start to brown, clear a spot in the pan and add the minced garlic. Let cook for just a little bit before stirring in the rest. Lastly, add the toasted almonds and season with sea salt and some more olive oil (if it feels too dry). As you may know already, Jules is the creator of Stonesoup where she share recipes and teach minimal healthy cooking. In 2011 she was a guest here on kokblog. I have also done several illustrations for her websites, for e.g. the beets in the header of stonesoup, the yellow bench and header of her Virtual Cookery School. Ceviche has been one of those dishes I have wanted to make for a very long time. And now I can’t stop. 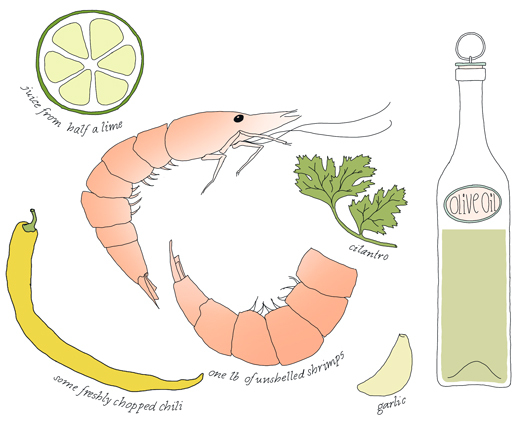 I like it as the illustrated recipe above, which has a great balance of spice and fruitiness. I have tried other versions as well but this one is so far my favorite. My recipe is based on a ceviche I was treated to on my last day of 2013. The host made it with cod, which was excellent and he also included freshly cooked shrimps, which I haven’t. The lime ratio I got from Michael Ruhlman’s gorgeous looking Red Snapper Ceviche recipe as it sounded like a good measure. 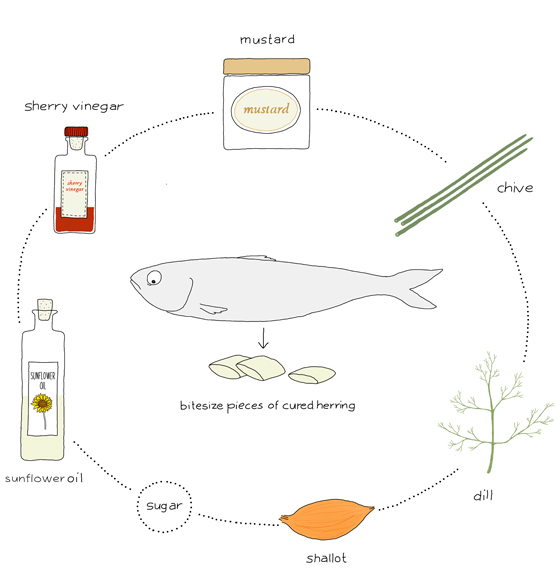 My recipe suggests monkfish but it works with any other white firm sea fish such as cod, tilapia, halibut etc. If not using fillets, bone and remove skin from the fish. Rinse. Cut the fillets into small pieces (approximately 1/2″ cubes). Chop the shallot very fine. Place fish and shallots in a bowl and cover with lime juice. Make sure everything is evenly coated. The process can go quite quickly and some say it may be done in 10 minutes. All depends on how thin or thick your pieces are. I often let it marinate for 2-3 hours before I serve it. During this time, keep it cool in the refrigerator. You may check on it and stir it around a little every so often. When ready, the fish should be white and not translucent. Just before serving: remove the seeds and chop the jalapeño finely. Cut the mango and avocado into small cubes. Place everything including the fish in a large serving bowl. Season with salt. Decorate with plenty of fresh cilantro. Serve with tortilla chips or as I sometimes do, thin knäckebröd. * To be on the safe side it’s a good thing to get frozen fish or even freeze the fish for 2 – 3 days before making ceviche. The freezing will kill any possible parasites in the fish. I have had good results both ways. Please note that the fish, frozen or not still has to be of good quality. Here is an old article at New York Times about it. Instead of enjoying the Swedish summer by growing vegetables and foraging for berries and mushrooms, I have been stuck with NY’s summer heat. I can’t say it has all been miserable though, it just hasn’t been the same. In Sweden I would have picked wild black cherries instead of gluttonized on local peaches. I would also have picked yellow chanterelles instead of trying to grow my own oyster mushrooms. Its all good as both places have their own unique quality. I have found it a little hard to be in my kitchen cooking when the city gets too hot and humid. Some nights I end up just eating cold watermelon with feta or something like that. Delicious and simple. Luckily we have had direct access to a really lovely garden so many dinners have been cooked outside on the terrace. Often vegetables such as eggplant, zucchini and field mushrooms (sliced up and simply marinated with herbs, garlic, olive oil and tamari) served together with steak, just barely grilled and thinly sliced.Other specialties are BBQ’d mussels and shrimps (see below). The mussels can be BBQ’d as is and eaten with squeezed lemon. You can also precook them and grill them topped with garlic butter and breadcrumbs. Rinse the shrimps and let them dry. Mix together olive oil, lime juice and finely chopped cilantro, garlic & chili. Season with sea salt. Place all the shrimps on the grill on high temperature (but no flames). Turn the shrimps over to the other side when they have got some nice color (after about a minute). They are done when they are cooked through and they all have a nice pink color. Drop the shrimps directly from the grill into the olive oil mixture. Stir around and serve immediately together with bread and salad. Some may think it’s silly to grow your own sorrel when you have it growing wild just around the corner. As the cultivated sorrel has a slightly milder and nicer flavor I believe its a great idea to include this sour and lemony herb in a garden plot. Its best is to harvest the young light green leaves, as when the leaves gets older and larger (darker green) they get tough and unpleasantly sour. Sorrel can be cooked like spinach for soups and omelets or raw in salads and pesto (see below). 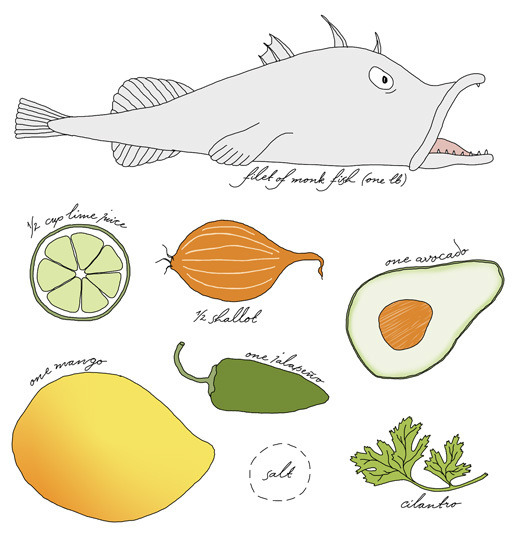 I also think the sourness in this pesto works terrifically well with fish, poached or cured. Spread on cracker this sorrel pesto can be a simple and delicious appetizer. Pick about 2 cups of very young Cultivated Sorrel leaves. Rinse the leaves in cold water and drain while you prepare the other ingredients. Chop the walnuts and the chili a little. Grate the Parmesan roughly. When the sorrel is dry, run them in the food processor (or use a mortar and pestle). Add chopped garlic and run the machine a bit before adding chili, walnuts, (parsley) and parmesan. Drizzle some olive oil over. Blend the mixture carefully as it should have a crunchy texture. If necessary add some more olive oil. Season with salt and fresh pepper. Note: Sorrel contains plenty of vitamins but the plant contains some oxalic acid which is not healthy if eaten too much (especially if your body easily creates kidney stones). I think to have sorrel on a few occasions over the summer can hardly harm you. This spring I have seeded plenty of basil and they are now all growing on my window sill. They are doing well but are still too small to be harvested. If you don’t have the patience to seed basil you can of course buy a plant from the plant shop. You can also sometimes find small pots at the vegetable shop which work really well replanted in a larger and nicer pot. I use basil to spice up almost any vinaigrette and as a main herb when making hazelnut baked cauliflower. Why not try basil as a flavor in cocktails! I like it with cucumber in my favorite summer drink pimm’s cup. Even if it’s well known, I still think basil on fresh tomatoes and mozzarella is magical. This basil pesto is made with the addition of celery stems (and leaves) that gives a nice grassy flavor. Instead of pine nuts I use walnuts (or roasted sunflower seeds). I use this basil pesto with spaghetti, as side to vegetable patties or on bread topped with tomatoes. Rinse the basil leaves carefully under cold water. Set aside and let dry while preparing the other ingredients. Chop the celery and garlic into small pieces. If the celery comes with leaves I would add them to the pesto as well. 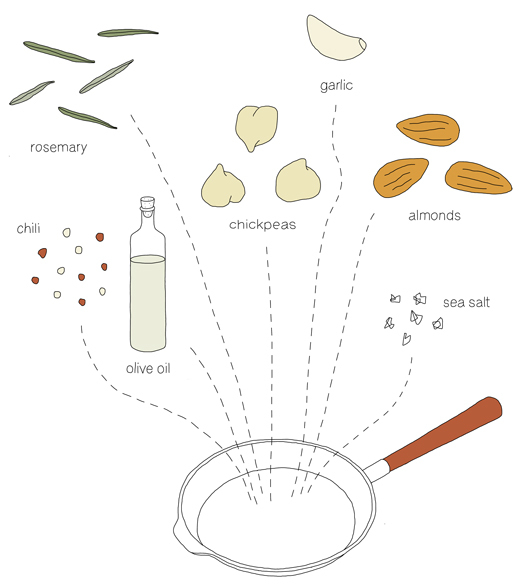 Mix all ingredients in a blender, starting with the basil, garlic and some olive oil. Add the celery, walnuts and lastly the grated cheese. Season with salt and pepper. Add as much olive oil as you like. Use less if you like to spread the pesto on bread and more if serving with pasta. Both of these pesto variations, when packed nicely in a jar, are a great summer present – especially when you have a place in your garden where sorrel or basil grows better than any flowers. 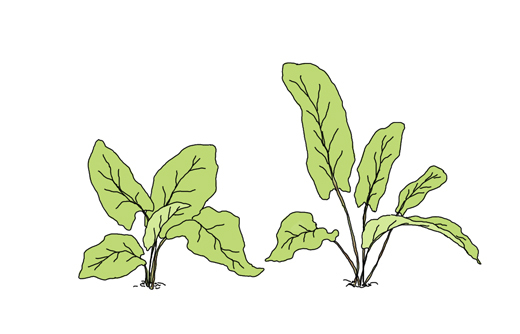 If you like to learn more about sorrel I suggest reading Sarah Smith’s article about sorrel at The Foodie Bugle and Clotilde Dusoulier’s 50 Things To Do With Fresh Sorrel post. 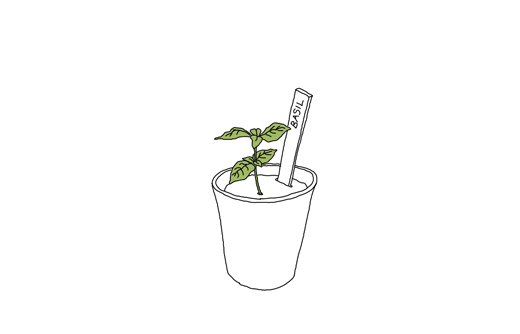 Over at Food52 you can follow Amy Penningtons City Dirt column on how to grow plants from seeds etc.